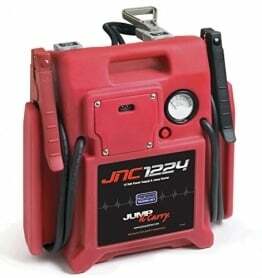 The GB70 is a compact, yet powerful lithium-ion jump starter for 12-volt batteries. 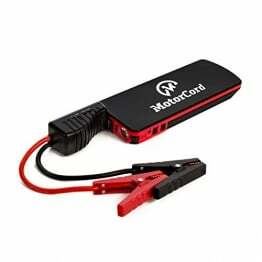 With it, you can safely jump start a dead battery in seconds – up to 40 times on a single charge. It’s mistake-proof, making it safe for anyone to use and features spark-proof technology, as well as reverse polarity protection. 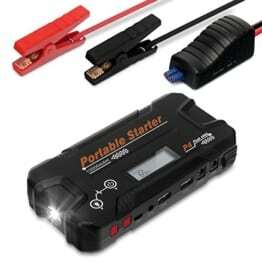 The GB70 lithium jump starter integrates with a high-output 400 lumen LED flashlight with 7 light modes, holds its charge for up to one year and features a USB battery pack for recharging personal devices on the go – up to 8 smartphone recharges. 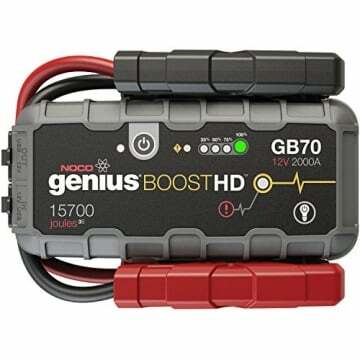 The GB70 features rapid charge technology that allows it to be recharged in just over three (3) hours, and a 12-volt auxiliary port for powering tire pumps, inverters, lights and more. It’s rated at 2,000 Amps (15,700 Joules3S), and suitable for use on gasoline engines up to 8 Liters and diesel engines up to 6 Liters, such as a car, boat, truck, tractor and more. Includes the GB70, HD battery clamps, USB charging cable, XGC male plug, XGC female plug, XGC cable, microfiber storage bag, and our 1-year hassle-free limited warranty.